At Garage Door & Opener Repairs, our doors are considered the best designed products in the neighborhood of Fort Worth, TX. They add value and beauty to your home or business. Our technical team will install the door and maintain it. 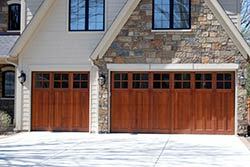 Work with the Number 1 custom garage door maker in the region, the experts at Garage Door & Opener Repairs. Call us today to set up a no-cost meeting. We can look at your ideas, discuss your needs and go forward with your custom design.